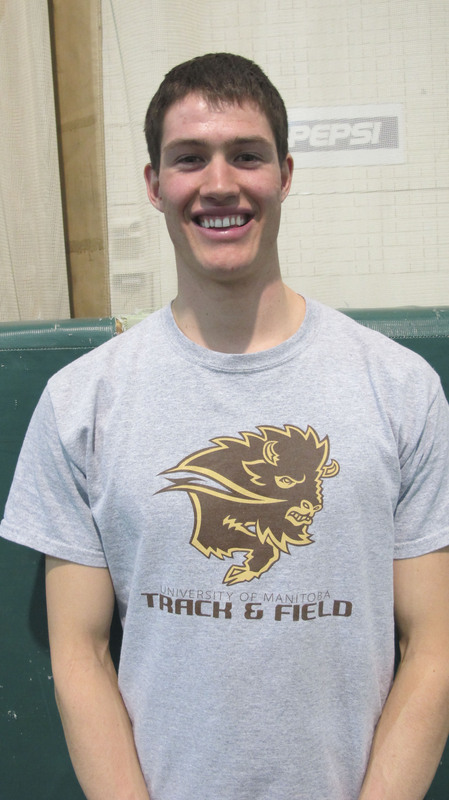 The 3rd annual Bison Track and Field Invitational took place on Friday Feb. 3 and Saturday Feb. 4 at the University of Manitoba Max Bell Fieldhouse. 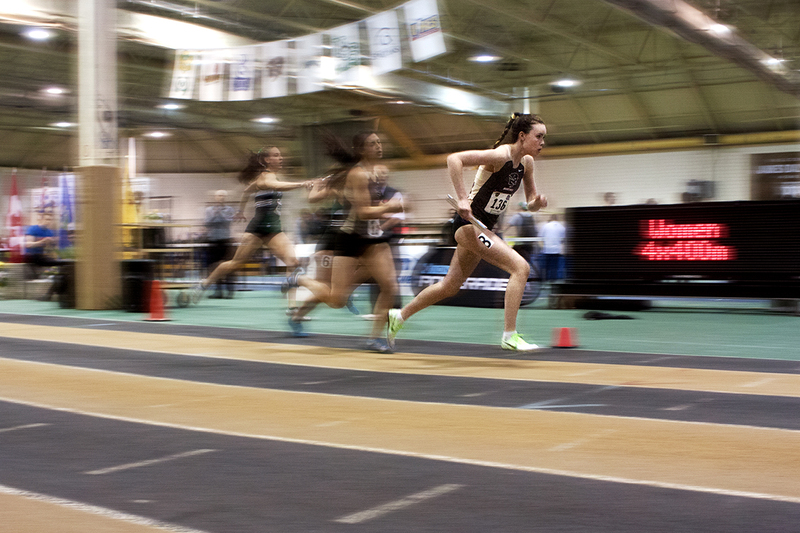 More than 450 athletes from over 10 universities across Canada and numerous track and field clubs participated in the events during the two days. 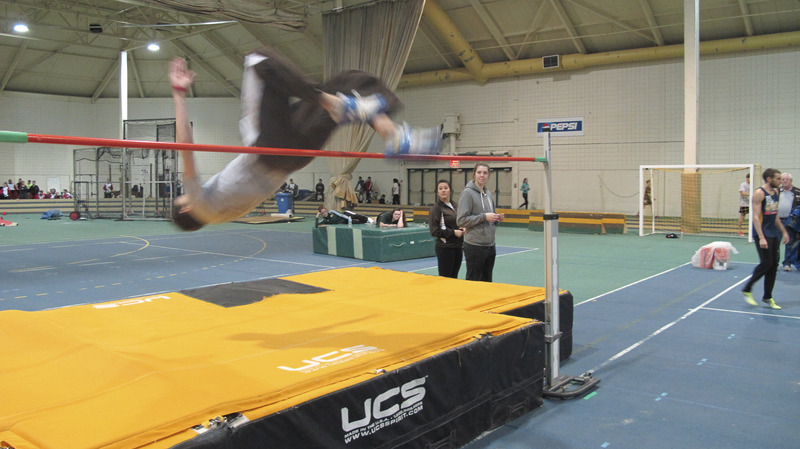 All athletes were competing for qualifiers for the 2012 CIS Championships which will be held at the University of Manitoba later this school year. Before the weekend’s events, the press talked with track and field coach Claude Berube about the rest of the season and Bison hopes for the competition. “At the moment we don’t have — officially — anybody qualified for the CIS Championship and we really want some people competing at home since we are hosting.” Berbue added that the Bison Invitational is “playoff season” for the Bisons. The Manitoban arrived at the events on Saturday just in time to catch the tail end of the men’s 600m race and the beginning of the men’s long jump and high jump. We stayed for a few hours watching high jump and caught the men and women’s 1500m races as well. McCormick placed 13th overall with his score. He was one second slower than his teammate, Jordan Wand whose time was 1:21.93. Bison Zach Durand placed fourth overall for the Men’s 600m with a time of 1:20.23. West came eighth overall in high jump, with a height of 1.85m. Bison Arthur Buchanan jumped 1.95m for third place. After we talked to the high jumpers, the men’s 600m races were winding down and the women’s 1,500m began. Siemens final placement was twenty-third overall, based on her time. Bison Nicole Dubois did very well, coming eighth overall with a time of 4:44.84. The overall event was a roaring success, but only time will tell whether or not the Bisons did enough to qualify for the CIS.